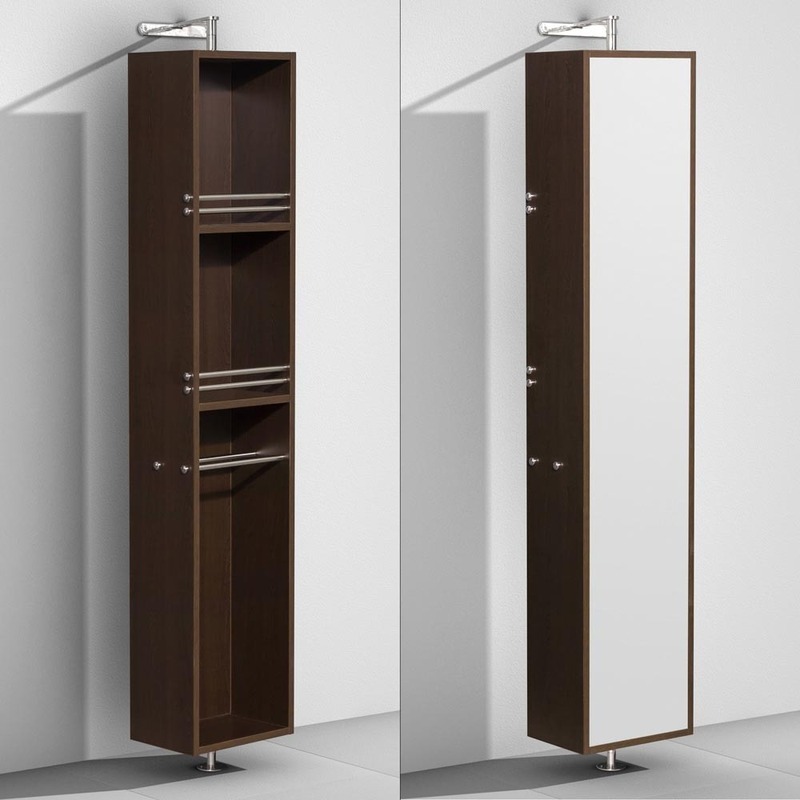 With a floor-mounted design that rotates between a mirrored and a shelved side, the Amare Rotating Floor Cabinet makes a versatile addition to your bathroom. Finished in an Espresso wood grain, this cabinet is designed to match any of the Amare Vanity Collection. 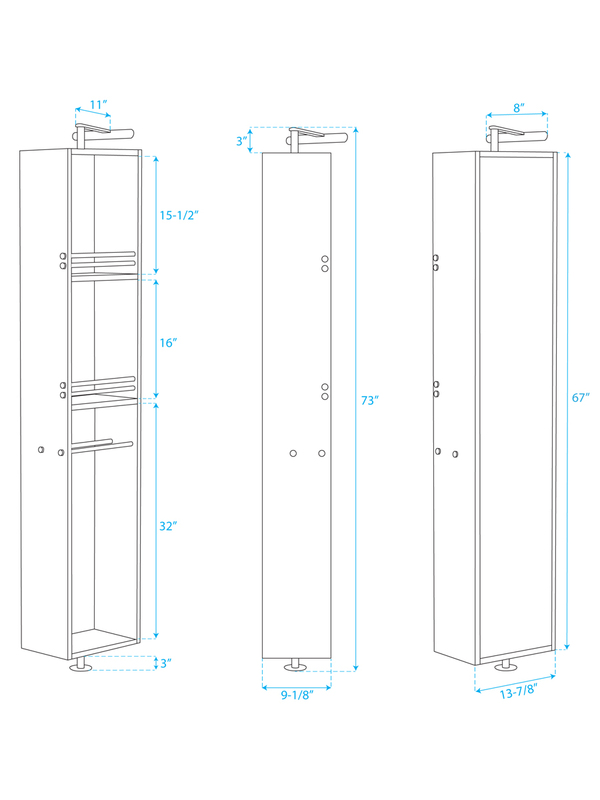 The entire cabinet offers two shelves, two towel bars, and an entire mirrored side.